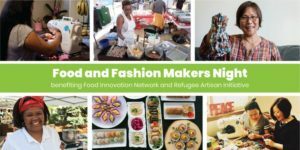 Join us for our first Food and Fashion Makers Night, a fundraising event benefiting the immigrant and refugee communities that Food Innovation Network (FIN) and Refugee Artisan Initiative (RAI) serve. Enjoy small bites from cuisines from around the world made by entrepreneurs participating in FIN’s Food Business Incubator. Cuisines include Congolese, Nigerian, Kenyan, Kurdish, authentic Mexican and soul food. A fashion show will feature apparel, jewelry, and wares made by RAI’s artisans. Come and meet these incredible food and fashion makers! It would be our pleasure to feature your business or group at the event! 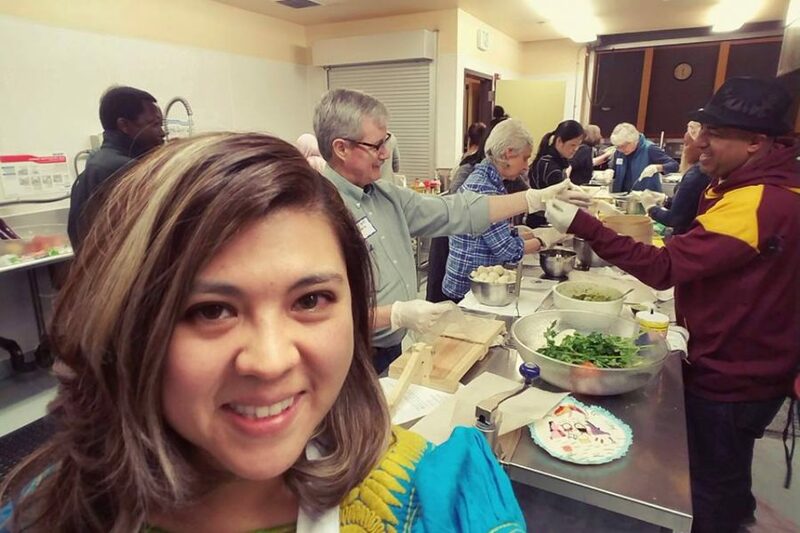 Please contact Kara Martin at kara@foodinnovationnetwork.org or Ming-Ming Tun-Edelman at info@refugeearts.org for more information about becoming a sponsor. Packages start at $250 and include complimentary tickets to the event.